Peritonitis associated with dialysis in patients on CAPD. Prolonged use may result in the overgrowth of non-susceptible organisms (e.g. Enterococci, fungi) which may require interruption of treatment or other appropriate measures. Repeated evaluation of the patient’s condition is essential. 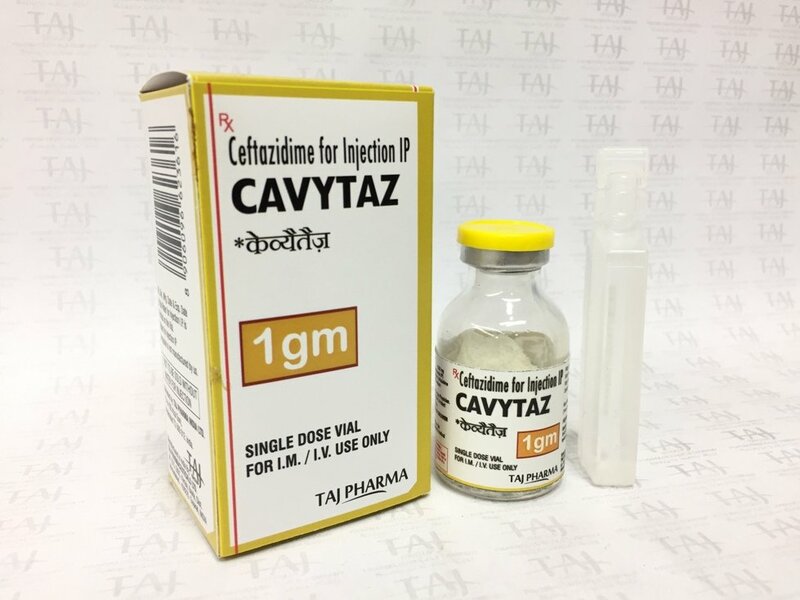 Ceftazidime does not interfere with enzyme-based tests for glycosuria, but slight interference (false-positive) may occur with copper reduction methods (Benedict’s, Fehling’s, Clinitest). The development of a positive Coombs’ test associated with the use of ceftazidime in about 5% of patients may interfere with the cross-matching of blood. The most common adverse reactions are eosinophilia, thrombocytosis, phlebitis or thrombophlebitis with intravenous administration, diarrhoea, transient increases in hepatic enzymes, maculopapular or urticarcial rash, pain and/or inflammation following intramuscular injection and positive Coomb’s test. outer membrane impermeability, which restricts access of ceftazidime to penicillin binding proteins in Gram-negative organisms. Shake to dissolve: carbon dioxide is released and a clear solution will be obtained in about 1 to 2 minutes. Invert the vial. With the syringe plunger fully depressed, insert the needle through the vial closure and withdraw the total volume of solution into the syringe (the pressure in the vial may aid withdrawal). Ensure that the needle remains within the solution and does not enter the head space. The withdrawn solution may contain small bubbles of carbon dioxide; they may be disregarded.